The Data and analytics era is well and truly upon us in the higher education industry, but what does it all mean for colleges and universities? 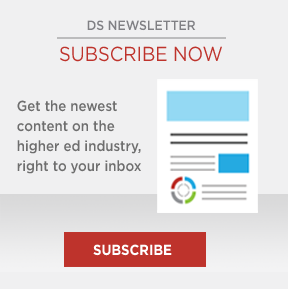 While some leaders are excited by the opportunity to improve efficiency and student support, others fear a slow march away from the personalization that makes postsecondary education a transformative experience for learners. The truth is that, for any institution, Data is what institutional leaders and staff make of it. But when effectively leveraged, analytics can help a college or university deliver the personalized, contextual and high-quality experience today’s students expect at scale. Learn how Destiny One is helping three universities collect, analyze and leverage the data they need to succeed. Learn how you can use your school's data to make informed decisions using these 10 dashboards. This eBook introduces a three-part examination of college and university rankings:Rankings as a flawed benchmark, the dangers of conforming to rankings and student-centricity as an alternative. University of Guelph OpenEd has benefitted from implementing Destiny One by providing students with high-touch experiences, allowing for staff efficiencies and the ability for extensive reporting capabilities. The Amazon-like online experience that today's students have come to expect can be a challenge when your back-office processes are bogged down in a mixture of manual or paper-based systems. Destiny One Dashboards, powered by Tableau®, are engaging and powerful data visualizations that allow higher education leaders to see trends and operate their businesses with data-driven intelligence.